I wanted to share a little bit about one of the items in my shop. 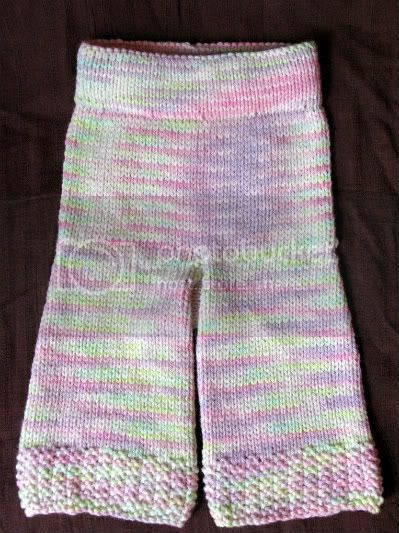 These sweet little longies were custom knit by me using yarn that I dyed. I wanted a pastel rainbow look and I love how soft the colors came out. What are longies, you ask? Longies, shorties, skirties and soakers are all terms that cloth diaper users throw around. They're basically diaper covers that double as pants/shorts/skirts. They are typically knit with wool because wool is a wonderful material to absorb wetness, yet is breathable so your little one doesn't get a heat rash "down there". One would think that wool is too much work to care for but really once you get used to it it's not that bad. In fact, I've thrown my knits into the washing machine! So that's that! These longies will fit a newborn and you can buy them here. And if you see some yarn in my shop that you would like knit up feel free to send an alchemy request! I love your longies, they are soo cute! There really is something about knit items on babies..
those are so cute! love the colors!